As you may have already heard by now, I’ve accepted an offer to work for Talking Points Memo. I’ll be moving to New York City later this month to join the site’s muckraker team, where I’ll be covering corruption, crime and extremist groups throughout the nation. I couldn’t be more excited. I’ve been a fan of TPM for several years now and am looking forward to being part of such a talented team. It may come as no surprise that this site, Heat City, took some of its early cues from TPM’s success. Talking Points Memo began 11 years ago as a one-man blog written by Josh Marshall. Today, it’s staffed by some two dozen people and has been credited for breaking open a few of the biggest U.S. political scandals in recent years. One of the best parts of this move is that I’ll still get to write stories about Arizona from time to time, but now for a much larger audience. I have a lot of affection for this state. I got my journalistic start here, and I’ve called it home on and off for the better part of 16 years. In the past few years alone, that’s given me a chance to cover some remarkable people and stories. I’m glad to continue writing about it. So if we’ve talked in the past or if you’ve ever sent a tip my way, please keep in touch. Your insight will be as valuable as ever. In the meantime, I want to thank everyone who has supported my work here on Heat City. Whether through a donation to the site, a prominent link somewhere or even just a kind email, this site was able to break some pretty good stories and win some awards because of your help. So thanks. Recently, the site has grown pretty quiet, mostly because I’ve been so busy as a freelancer. I suppose that means this is also a good time to call it quits here. I will keep the site online for archival purposes. But I don’t have any plans to publish stories here anymore. I’m looking forward to what’s next. I hope you’ll join me for it. 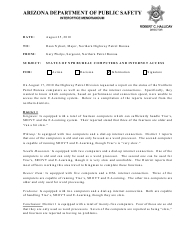 This U.S. Border Patrol memo leaked by hacker group LulzSec says a Minuteman group talked about shutting down a stretch of Arizona freeway in 2010. Federal agents were warned last year that a Minuteman group was planning to shut down a large section of freeway in central Arizona in an attempt to catch smugglers crossing through the desert, according to a secret law enforcement memo leaked last week. 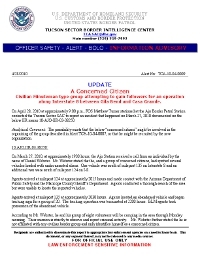 The April 28, 2010 memo said the U.S. Border Patrol had received information that the group, which went by the name “A Concerned Citizen,” was recruiting people to help it shut down part or all of a 30-mile stretch of Interstate 8 between Casa Grande and Gila Bend. The group reportedly wanted to carry out the operation to show support for Arizona’s strict new immigration law, known as SB1070, which had been signed by Gov. Jan Brewer five days prior. The document didn’t say where the Border Patrol got its information, but it was clear the agency was worried about the development. It said the “tone of this information is quite unlike” that of better-publicized operations by Minuteman groups that had patrolled the borderlands. Documents leaked by hacker group LulzSec reveal a U.S. Border Patrol agent discovered a roadside bomb planted along a smuggling route west of Tucson in 2009. This memo, leaked by hacker group LulzSec, reveals the U.S. Border Patrol discovered a roadside bomb along an Arizona smuggling route in 2009. A U.S. Border Patrol agent discovered a roadside bomb planted in the dirt along a known smuggling route west of Tucson in 2009, according to a secret memo leaked during last week’s hacking of Arizona Department of Public Safety email accounts. 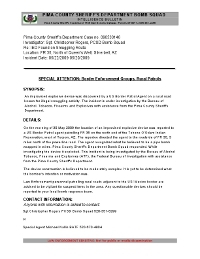 The May 2009 memo, written by the Pima County Sheriff’s Department bomb squad and marked “not for public or media dissemination,” said the explosive detonated during the subsequent investigation. The document didn’t say whether anyone was hurt in the explosion. The memo said the device appeared to be “moderately complex” in its construction. 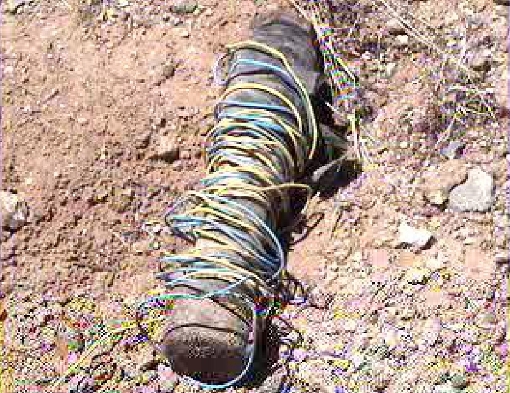 It was made out of pipe and wrapped in wires. It was unclear to investigators at the time who planted the bomb or why. Law enforcement officers patrolling the area were told to be extra careful and to look out for similar devices. The investigation was handed off to the federal Bureau of Alcohol, Tobacco, Firearms and Explosives as well as the FBI. Is Arizona ready for the next hack? In this memo, leaked by hacker group LulzSec, an Arizona DPS sergeant details poor computers at some of the agency’s offices. Arizona’s state police force, the Department of Public Safety, went into something of a panic on Thursday night after a group of brazen hackers broke into the email accounts of a handful of officers and leaked secret law enforcement documents to the world. The agency shut down its own website, froze parts of its email system and launched an investigation to try to figure out how bad the breach was and how it happened. Yet in all the posturing and fist-pounding state officials did in the hours that followed, the question of whether Arizona has a strategy to deal with future attacks seemed to be lost in the noise. Instead, the focus was on the seven officers, some of whom had their names, home addresses, cell phone numbers, passwords and personal financial information posted on the internet. 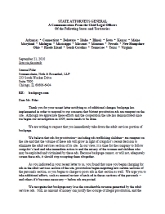 Attorneys general from 21 states call on Village Voice Media to shut down its adult listings. The call from the attorneys general comes just weeks after the online classified ad giant Craigslist reluctantly removed its own adult listings because of growing criticism from law enforcement and child advocacy groups nationwide. Even as Sheriff Joe Arpaio faces the most intense scrutiny of his career from federal investigators, local authorities and his own men, records released Thursday show his 2012 re-election campaign is raising money at a faster pace than ever. The Maricopa County sheriff hauled in more than $650,000 in less than six weeks, bringing his total grab to about $3.6 million since winning a fifth term in 2008, according to financial disclosures filed with the county elections department. He tried twice to unseat Maricopa County Sheriff Joe Arpaio and lost both times. But former Buckeye Police Chief Dan Saban is going to try again, saying Monday he believes he can pull off an upset in his third run for the office. Saban told Heat City he gave the county notice of his campaign last week after being overwhelmed by calls to get into the 2012 race despite losses to Arpaio in 2008 and 2004. “I just got bombarded with emails,” Saban said. 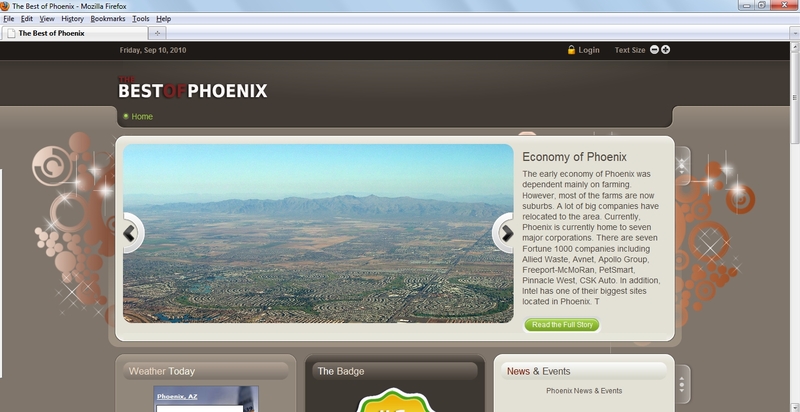 There’s only one company allowed to decide which businesses are the “Best of Phoenix.” At least that’s the message the Phoenix New Times is sending to anyone hoping to use the trademarked name of the newspaper’s annual list of what’s hot in town. 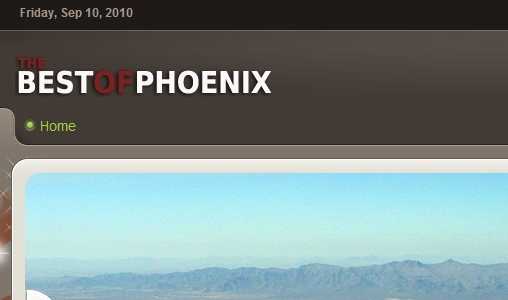 The alternative weekly and its parent company, Village Voice Media Holdings, filed their second federal lawsuit in less than a week on Wednesday against someone who owns a website domain name using the phrase “best of Phoenix,” which the newspaper trademarked back in 1997. Sheriff Joe Arpaio has apparently changed his mind about a candidate he recently spent big bucks trying to defeat. 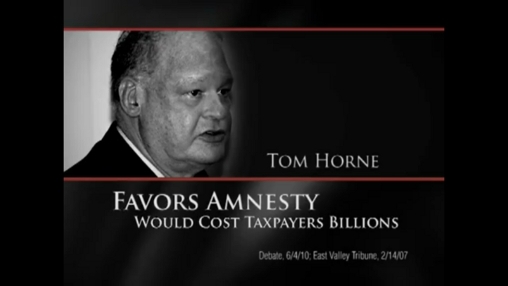 Last month, the Maricopa County sheriff was dishing out hundreds of thousands of dollars to attack Tom Horne, a Republican running in the Arizona attorney general’s race. The Phoenix New Times publishes an annual Best of Phoenix issue, like this one from 2009. The Phoenix New Times is well on track to publishing its Best of Phoenix 2010 issue later this month, with billboards and ads already heralding its arrival. But it turns out the next two years of the newspaper’s annual hot list have already hit a road block. The alternative weekly and its parent company, Village Voice Media Holdings, filed a federal lawsuit Friday against one of the newspaper’s former employees, accusing him of Internet piracy and trademark violations for cybersquatting on the website domain names bestofphoenix2011.com and bestofphoenix2012.com.